Read how Jericho Rosales defended his new leading lady from bashers. 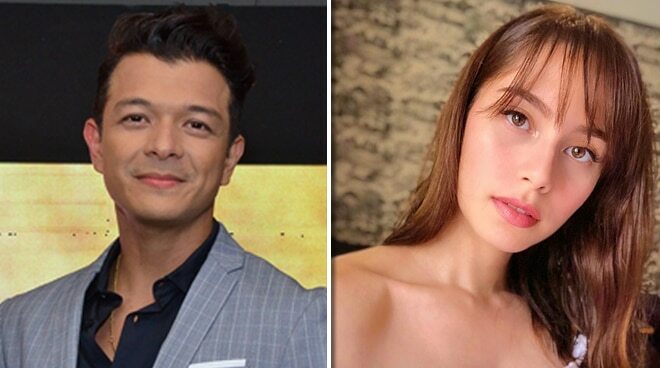 Jericho Rosales defended his "The Girl in the Orange Dress" co-star Jessy Mendiola from bashers. 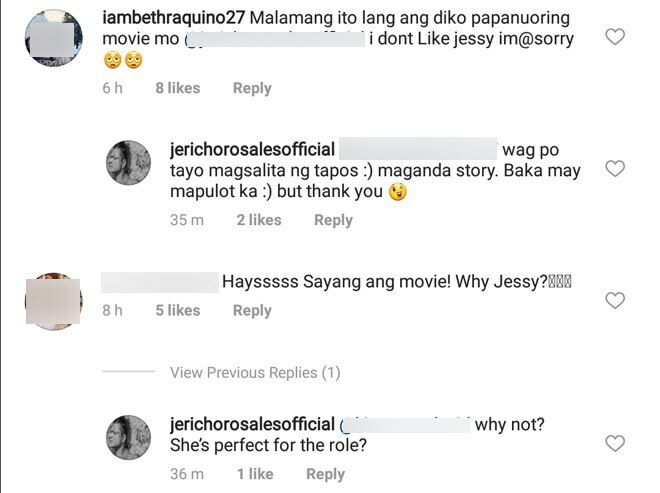 Jericho posted a teaser photo of his upcoming movie with the actress and a netizen commented, "Why Jessy?" Jericho in defense of his leading lady, responded, "Why not? She's perfect for the role." Another netizen commented, "Malamang ito lang ang di ko papanuoring movie mo @jerichorosalesofficial. I don't like Jessy, I'm sorry.” Jericho replied, "Wag po tayo magsalita ng tapos. Maganda story. Baka may mapulot ka. But thank you."